Good condition, some wear on the snoopy that pops up. from the 60's, main Peanuts characters featured on box. no original packaging. Parents bought it for me. Thank you for submitting your item for appraisal. 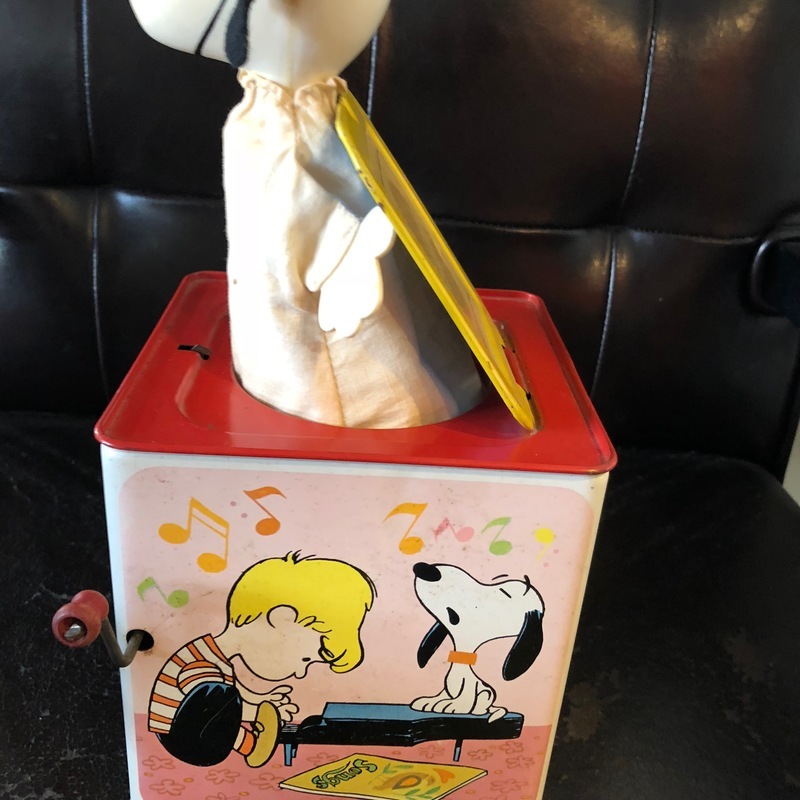 This jack-in-the-box by Mattel featuring Snoopy and the peanuts has been one of the favorite toys in the 1960s. A huge number was produced and sold and therefore the supply today of vintage items is very high. The jack-in-the-box in your possession is in very good condition which justifies the slightly higher estimate, compared to auction results of average items in well used condition.